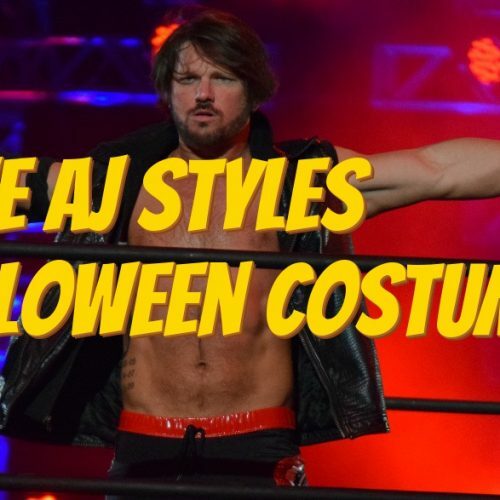 The best Sting Wrestling Halloween costumes are right here. 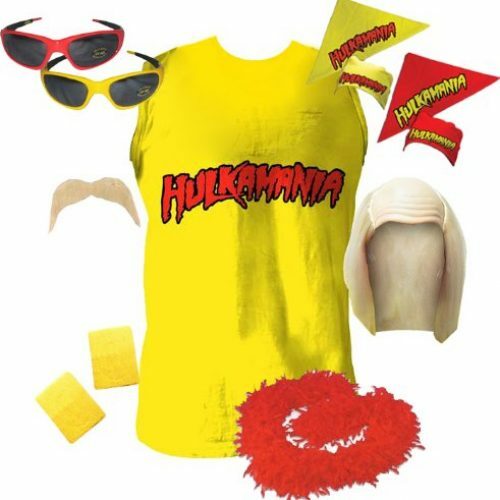 Dress up as The Icon Sting for Halloween this year. If you are a Sting fan, use this Halloween costume kit to dress up as your favorite wrestler from WCW, TNA and now currently in the WWE. 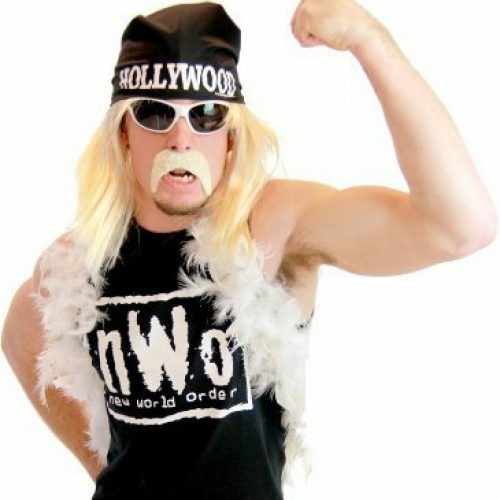 Sting first appeared as a blonde haired and face painted surfer Hollywood character. 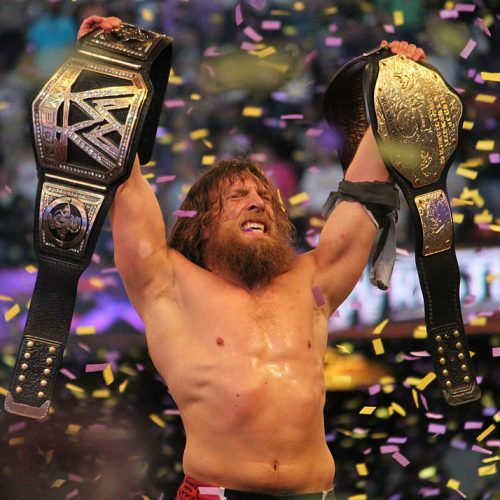 Later he developed his dark Crow based character that he uses today in the WWE. The black and white face painted mysterious Sting wrestling character is currently under contract in the WWE for Vince McMahon. 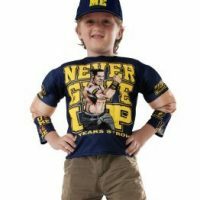 He is also featured in the latest WWE video game as a downloadable and playable character. 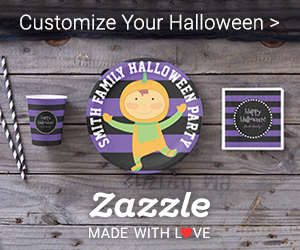 Now is a great time to dress as Sting for Halloween and these costume kits makes it easier than ever! 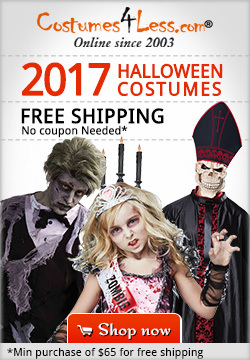 There are costumes for adult and child below. 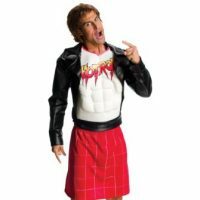 Here is a top selling Sting costume for Halloween. 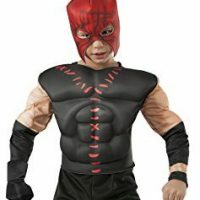 This costume kits comes with everything you need to dress up as the popular wrestler known as Sting. 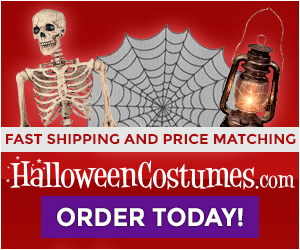 (Except black pants or shoes) There are more costume kits below that does include pants. So be sure to look over this whole page. 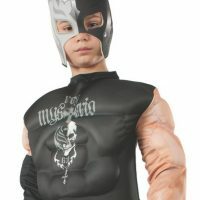 Do you need a child size Sting costume? Plus, there are Sting gloves and WCW World Heavyweight Championship belts. Plus there are other legends from Stings era like Hulk Hogan, Ric Flair and Hot Rod Roddy Piper costumes for other members in your family.